Arsenal could be primed for transfer disappointment ahead of the deadline, according to football expert Guillem Balague. The Gunners remain locked in a real battle to secure a top four finish in the Premier League this season, as they sit just three points adrift of fourth-placed Chelsea after 23 games. 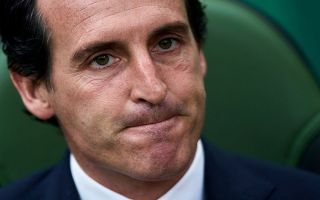 While Unai Emery will also hope to continue his impressive track record in the Europa League, they arguably need to strengthen this week in order to give themselves a boost for the business end of the campaign. However, as noted in his tweet below, Balague has suggested that pursuits of Barcelona midfielder Denis Suarez and Inter winger Ivan Perisic could both fail for the same reason, and that’s because Arsenal are looking for two loan deals without an obligation to buy. That evidently doesn’t suit either Euro giant, and so for the time being, there has been no breakthrough in transfer talks with either, as per Balague. Given his standing, it’s fair to say that the information is pretty accurate, and so it now remains to be seen whether or not a compromise is reached for either target. The Mirror claim that the Suarez move is going nowhere, while the Evening Standard note how Inter general manager Beppe Marotta has stated that no offer for Perisic has arrived as of yet. With the transfer deadline just a matter of days away, Emery will certainly be hoping that things will speed up, as any reinforcements will surely be welcomed to offer additional quality and depth so that Arsenal can compete on both fronts and achieve their objectives.